LETS SEE IF SHE'S FREAKISHLY HAPPY NOW!! Wow. This is a fail. How long before someone rereuploads this to Yo Dawg? 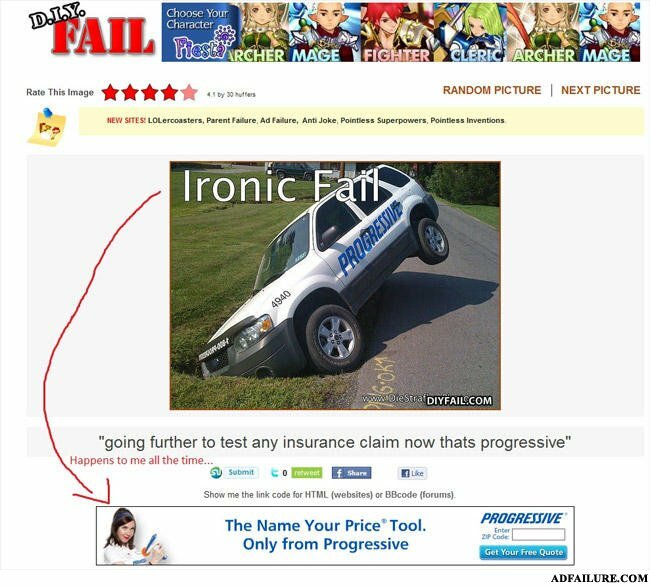 "Yo Dawg, I heard you like fail, so I put a DIY Fail in your AD Failure so you can fail while you fail." THEY WENT TOO FAR THIS TIME! Damn it Flo! You had one job! I think we're going to need the Name Your Price tool, sorry. We f**ked up our company SUV. An astronaut, a nun and a fireman walk into a bar. They all order something to drink as they have all had a busy day.